FirstFlight is a virtual flight school providing online flying lessons and information about private pilot training. FirstFlight online lessons are very effective, very affordable and a great first step towards becoming a pilot. FirstFlight shows you how to learn to fly and develop the skills you need to become a private pilot with practical, task specific instruction. FirstFlight online lessons fully prepare you to take to the skies with a local flight instructor. Access to all the FirstFlight online lessons and features is available on a subscription basis. For $49.95 subscribers are provided with six months of unlimited access to FirstFlight content which is usually sufficient time in which to complete your private pilot training. FirstFlight is about real flight skills, it is not specifically designed to prepare you for the FAA written test. Originally conceived and developed in 1995 by Trevor J. Saxty the FirstFlight experience has evolved from a simple web site into a rich multi-media online training system. Trevor J. Saxty is an FAA certificated flight instructor and holder of a commercial pilots certificate with single, multi-engine and instrument ratings. He holds a gold seal flight instructor certificate with single, multi-engine and instrument ratings and a ground instructor certificate with advanced and instrument ratings and has provided flight training to many pilots in the San Francisco Bay area. Unlike books, CDs and videos the FirstFlight online training system is updated and enhanced on an ongoing basis so subscribers always have the latest version. FirstFlight provides a more interactive learning experience than books and videos at a cost that is a fraction of comparable videos and CD ROMs. 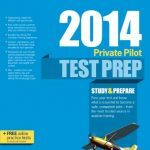 The flight lesson based format provides complete “how to” instruction that will guide you from your FirstFlight all the way to your private pilot check ride. FirstFlight would like acknowledge the outstanding contributions of Jon Eberly and Jack Thomas. As FirstFlight.com technical lead, Jon Eberly created the multimedia and content management framework for the FirstFlight educational system. He has been creating web-based tools for fortune 500 companies, non-profits and innovative small businesses in San Francisco since 1997. He is a private pilot. Jack Thomas applied his editorial skills to the text and when not flying small planes he’s a writer and editor of technical articles, biographies, and speeches for notables who have included Jimmy Carter. In February of 2014, FirstFlight.com was thoroughly updated to increase usability on mobile devices and improve the overall user experience for both guests and students. This update also included the addition of the official FirstFlight Forums, Flight School Directory, and Pilot Shop. These updates were performed by No Demographic.